Revived exactly the same as the original, this legendary battle needle offers ultra-high skip resistance and ultra-high output. 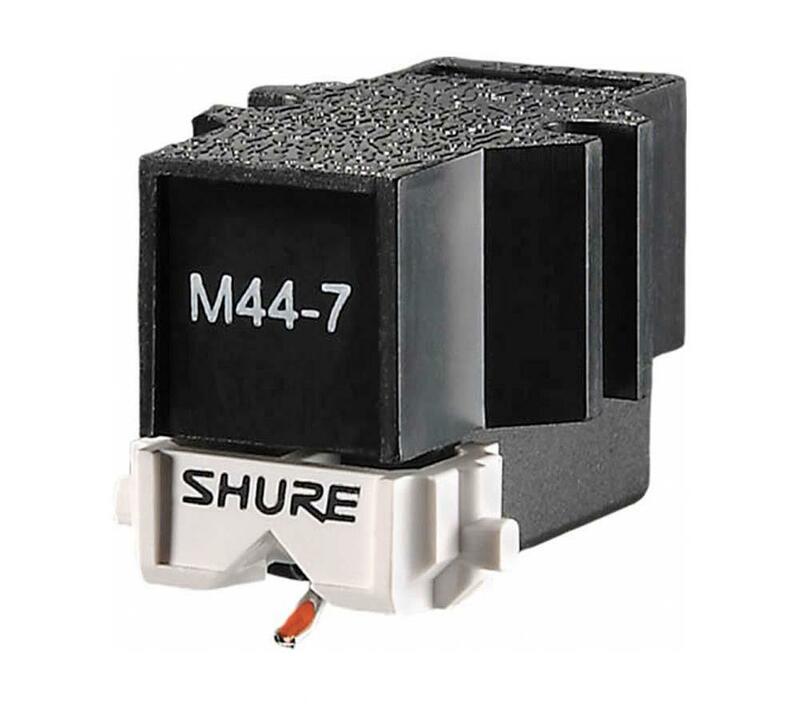 The Shure M44-7 turntable DJ phono cartridge is the needle of choice for many champion DJ's worldwide. Engineered for scratch DJ's and turntablists, the M44-7 is designed not to skip under even the most demanding circumstances. • Combining the Shure unique wide-diameter Type S cantilever with a tracking force of 1.5 to 3.0 grams, the M44-7's rugged construction is highly durable, but will not unduly wear your vinyl. • With a 9.5 mV output, the M44-7 produces powerful, resonant sound.